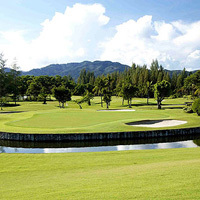 Laguna Phuket Golf Club has been quietly moving forward in recent years, now positioning itself as one of the best golf courses in Thailand. The dramatic and steady changes that have been occurring over the past several years have started to produce positive results for the Club with the winning of multiple categories within the prestigious Asian Golf Monthly annual awards. The Club has won the Top Ten Best Golf Course in Thailand award, the Top Ten Best Resort Course in Asia award and the Top Ten Best Club House in Asia award - an impressive feat considering the superb quality of golf courses in Thailand and surrounding countries. Perhaps the single greatest improvement has been in the greens which have all been rebuilt and reshaped resulting in a truer and faster roll. New green surrounds have also made the short game play more imaginative and interesting. Fairway mounding has made shot making more creative and the maturing trees have now closed in many of the holes, giving a woodland shape and adding to the shot value of many of the holes.